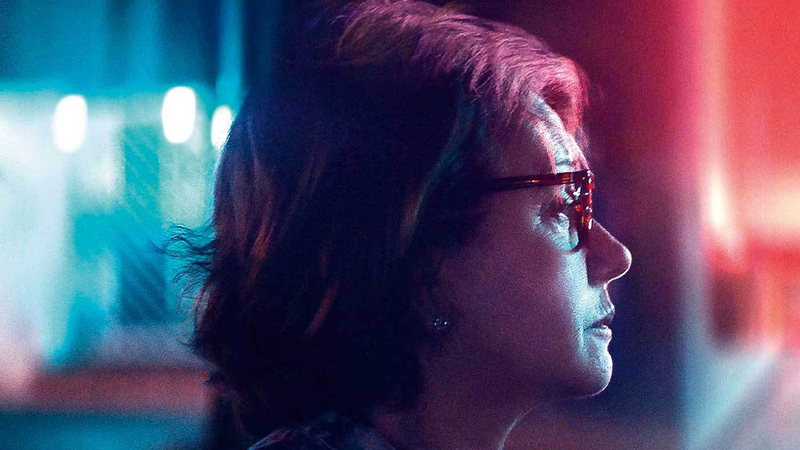 In opposition to other typically comical stories of later-life affirmation, Marcelo Martinessi’s The Heiresses is a film brooding with melancholy and a sense of loss. A story about losing and finding romance but choosing independence instead, this deeply felt Paraguayan drama shines a light on the nation’s fractured identity by crossing numerous generational and class divides. The Heiresses centres on Chela (Ana Brun) and her partner Chiquita (Margarita Irún), an elderly couple who have settled into something of a routine. Chiquita knows exactly how to prepare Chela’s breakfast tray; placing ice in her Diet Coke (never ‘Zero’), but no ice in her water, she even plans most of the couple’s excursions, whereas Chela is much happier hiding from the world amongst the opulent grandeur of the home she inherited from her family. Martinessi cloaks the house with a shroud of gloom, using lamps to light spaces in which his characters can slip in and out of the fading past and the uncertain present. Chela struggles to let go of a house that is still and, seemingly forever will be, a home that belongs to a different era. That’s not to say there aren’t others like Chela who cling to the memories of the past, and when Chiquita is sent to prison for fraud, the house becomes a showroom for the wealthy women of Asunción. Chela is forced to sell her family’s antique furniture and silverware to pay Chiquita’s debt. However, there’s one items she’s reluctant to part with, the Mercedes her father gave her. Instead of selling the car, she decides to make some money using it as a taxi for a group of wealthy ladies. In her new role as chauffeur, Chela begins to experience the outside world and it’s here she meets Angy (Ana Ivanova), the young and vivacious daughter of one of her charges. The pair strike up a friendship, but soon Chela begins to experience desires she never knew existed, until now. Without descending into mawkish sentimentality, Martinessi charts Chela’s personal revolution by allowing the camera to carefully observe her, weaving a complex portrait lent nuance by Brun, that never over articulates the mystery of her character’s deepest desires. The entire film is dependant upon her restraint and nuanced interiority and Brun has created one of the most complex, fully fleshed-out over-50 females to ever hit the screen. Though her journey is emotionally captivating, Martinessi persuasively merges her fate with that of a nation, providing a lace draped window in which to pry on a section of Paraguayan society that prefers to cling to the shadows of its past, than embrace the future. Political unrest, corruption and chronic economic problems have plagued Paraguay since it emerged from the 35-year dictatorship of the late General Alfredo Stroessner in 1989. Martinessi uses the power struggles of a relationship and the oppression of bourgeois culture to ensnare the audience in this world of faded privilege. The Heiresses is a film about the prisons we create for ourselves and the ones we’re often too scared to leave, something alluded to in the film’s final scene. It’s one of the very few without Brun in the frame, her absence only deepening the sense that Martinessi has created a liberating tale of confinement, self-actualisation and escape.